We previously broke the news that high-end sports bar and restaurant, Social Tap Eatery, took over the former Bridges Bar & Grill space in the San Diego State University College Area to open the fourth location of the Mexican-American fusion concept. It has now been confirmed that Social Tap Eatery SDSU will officially open its doors on September 29 with a grand opening party set for October 21. After experiencing much success with its other East Village San Diego, Ventura CA, and Scottsdale AZ locations, owner Brant Crenshaw saw a market that hadn’t been touched and took advantage of it. 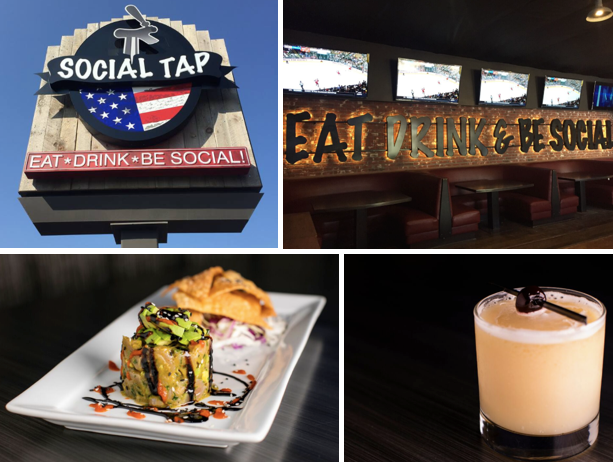 On the corner of Art Street and El Cajon Boulevard, Social Tap Eatery SDSU will certainly be a hot-spot destination for sports viewing, "social hour" and diverse F&B options. "After opening three successful Social Tap locations I wanted to bring the relaxed and casual atmosphere to the San Diego State University community so they can unwind and enjoy a full-service, quality experience," said Brant Crenshaw, owner and operator of Social Tap Eatery. "The difference between us and the average bar is that we work hard to create the perfect social experience, without losing track of outstanding food and the best service." The property features a 1,200 square-foot patio and a 3,500 square-foot interior dining space. The restaurant’s motto is “eat, drink and be social,” and their dining room full of 21, 60-inch TV’s sets the platform for ample sports viewing with music video streaming between games. They also will host a Sunday brunch that includes classic favorites such as chicken and waffles, a breakfast burger, and huevos rancheros. Executive Chef Jake Snyder has been with Social Tap Eatery for the past four years and will head up the kitchen at Social Tap SDSU. Standout items on the main menu include filet mignon truffle tacos, the Cali burrito bowl, and a beef and manchego melt. The fusion menu pairs perfectly with Social Tap’s wide selection of local craft beers and an array of quality spirits. Social Tap Eatery SDSU will have 24 beers on tap including local Green Flash Imperial IPA, Ballast Pt. Grapefruit Sculpin, and Mother Earth- Cali Creamin’, along with a wide selection of craft cocktails. 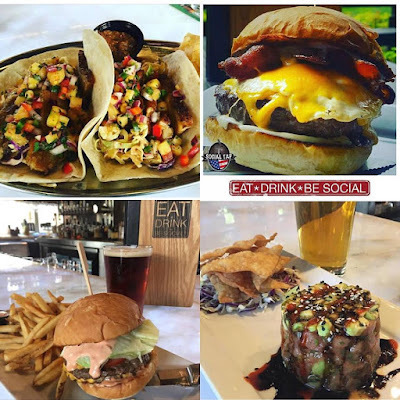 Social Tap Eatery is located at 4800 Art Street in the SDSU College Area. For more information, visit socialtapsdsu.com.